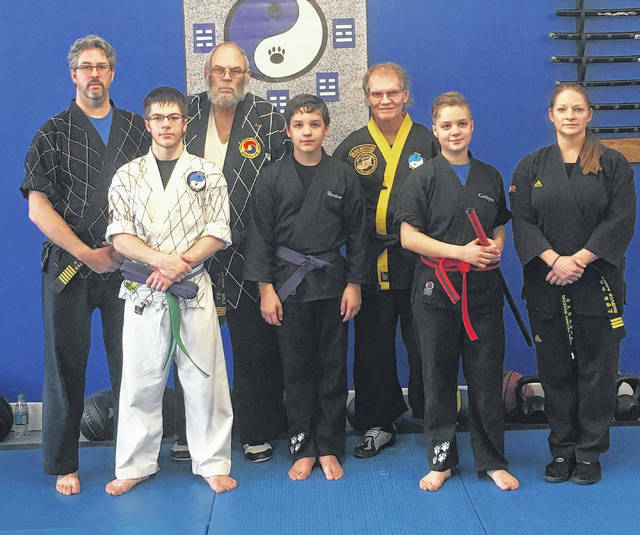 Wolfpak Martial Arts recently promoted three students. Pictured are, in the back row (l-r): Master Sam Wolf, Master Tom Wolf, instructor Larry Foster and instructor Tisha Bivens. Front row: Justin Burkey, Hunter Berthold and Caitlyn Berthold.